A Group 1 or froward-facing car seat is the next step up from an infant or “rear-facing” car seat, unless you have a convertible car seat which serves as both rear and forward-facing. You should never eave a baby in a car seat which he or she has outgrown, so it’s important to check the weight and height restrictions and buy a new car seat as soon as your baby needs one. Nowadays, it is recommended that a child stay rear-facing until they are 2 or 3 years old. It has been proven in many crash tests that rear-facing babies are less affect in accidents than forward facing babies and therefore you should stick to a rear-facing position for as long as possible. In general (although it varies form seat to seat) a forward-facing seat can be used from around 22 lbs (can be as low as 20 for convertible seats and from 25 lbs for some harness booster seats). Please remember that forward facing car seats are NOT intended for newborn babies and are therefore unsafe for infants, click here to check out some infant car seats. However, convertible car seats are made for both rear and forward facing use, so click here to learn more. 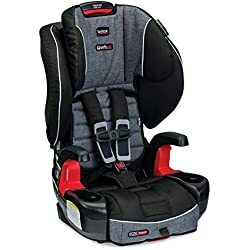 Safety note: Forward-facing car seats have a 5 point or 3 point harness, when used correctly the buckle should be at crotch level and the straps should be about 2cm above your baby’s shoulders, safe installation and use provides maximum protection in the unfortunate event of a crash or traffic accident. What are booster seats and a harness booster seats? So, what are your options when your baby is ready to go forward-facing? Either you can opt for a convertible car seat in forward facing positon, or a booster seat with a harness for full protection. Booster seats are the next step up after a convertible baby seat. They are different because they don’t have a 5-point or even a 3-point harness, usually they use the car’s seat belt, so it’s a transition from a baby seat to a full adult seat. You should use the safest car seat possible for the longest amount of time, but that doesn’t mean you should leave your child in a baby seat forever! It’s actually extremely dangerous to use a car seat that your child has outgrown. If your child’s ears are at the very top of the seat you need to change your car seat- it could be a matter of life or death. 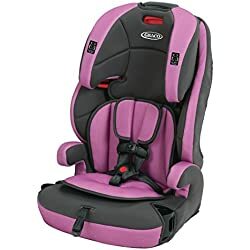 In general, a booster seat is used from around age 4, and can be used up to 9 years or beyond, depending on your child’s height and also the car seat and child safety laws of where you live. This is pretty vague however, as car seat age requirements and limitations vary, for example some 2 year olds weigh 30 pounds and therefore could use a booster seat but this is very young and with common sense most people will leave them in a safe, harnessed seat. In fact, pediatricians now recommend that children should use a 5-point harness up to the age of 5. Booster seats can also be like combination car seats in the sense that they can completely change as your child grows. 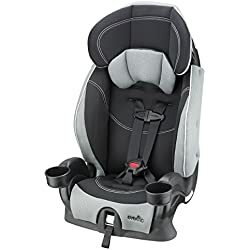 They can start off with a 5-point harness and then can be used as a normal booster seat with the harness straps hidden away, and might even have a third use as a backless booster seat. (Check out my review of the Graco Nautilus which does all three!) 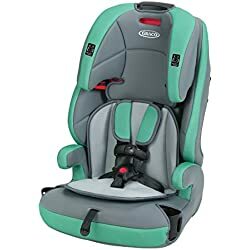 Many of these harness booster seats do not have a detachable back, but backless boosters can be bought at a very low cost from many stores, that can tide you over until your child can go car-seat-free! The first 4 car seats here can be used as a forward-facing car seat with a harness and are therefore suitable for small babies once they have outgrown their infant car seat. 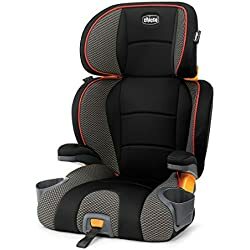 Without a harness, booster seats can be used from 30 lbs and even backless boosters from 40 lbs, in my personal opinion this is incredibly small and I would always recommend a car seat with a harness for a child of 30 lbs. 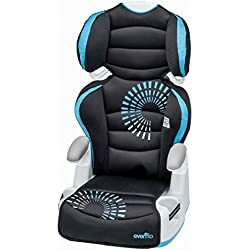 Graco have a similar seat which goes one step further into a backless booster, it’s called the Nautilus booster and it too comes with a harness. 22 to 120 lbs.